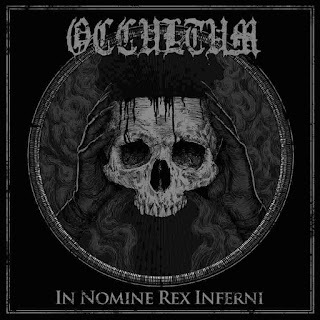 Occultum are a band from Poland that plays a satanic form of black metal and this is a review of their 2018 album "In Nomine Rex Inferni" which was released by Old Temple. Drums start off the album along with some distorted reverb going into a very fast and raw musical direction which also uses a great amount of tremolo picking and blast beats while bestial growls can also be heard briefly with the vocals being mostly angry sounding black metal screams. Throughout the recording you can also hear a great mixture of slow, mid paced and fast parts while the solos and leads are done in a very dark yet melodic style along with the music also sounding very modern as well as some of the tracks being very long and epic in length and the riffs also bring in a decent amount of melody and as the album progresses a brief use of spoken word parts can also be heard and all of the musical instruments have a very powerful sound to them. 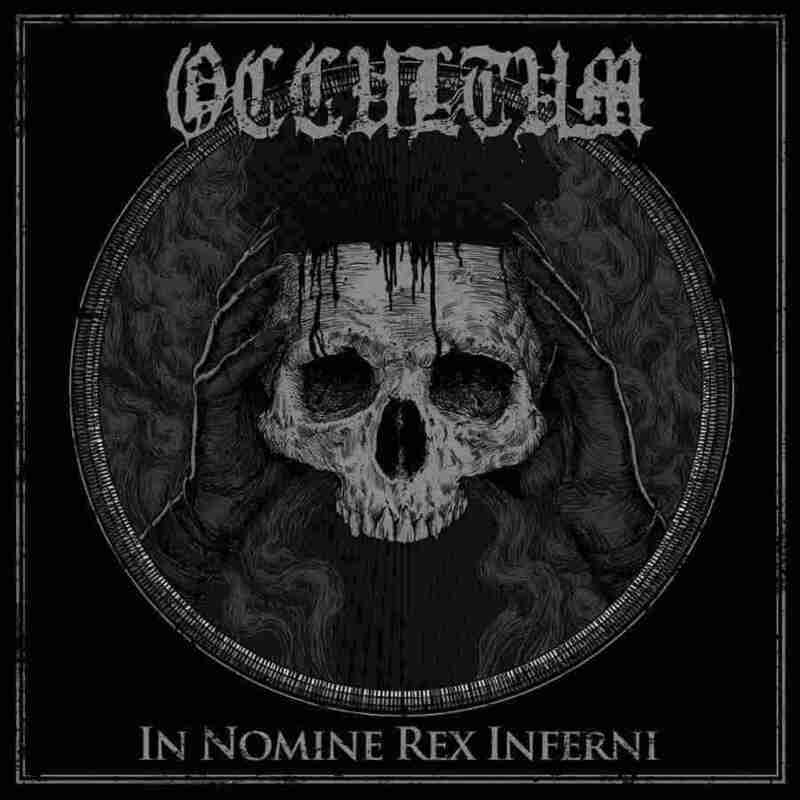 Occultum creates another recording that remains true to the satanic style of black metal that was established on the previous release, the production sounds very raw and heavy while the lyrics cover Satanism, Occultism and Necromancy themes. In my opinion this is another great sounding recording from Occultum and if you are a fan of satanic black metal, you should check out this album. RECOMMENDED TRACKS INCLUDE "Skulls Instead Of Candles" "Hanged Man" and "Black Art Of Necromancy". 8 out of 10.